A lead generation, marketing & email newsletter WordPress plugin, with free & premium options. Automate emails & engage your audience with the MailOptin plugin. MailOptin is a lead generation & email marketing WordPress plugin that offers 12 third-party integrations, 7 opt-in form types and comes with powerful email automation. In this MailOptin review, I’ll be evaluating every single feature, and pointing out the pros and cons. Overall, the MailOptin plugin is really well built, and makes it easy to start a lead generation campaign and build an email list. It utilizes native WordPress functionality, and integrates really well with WordPress core. After activating the MailOptin plugin & entering your license key (premium version only), you’ll want to take a look at the general plugin settings. You’ve got a few options that you want to set up from the beginning, before you start using the plugin. Remove Data on Uninstall? If you decide to uninstall the plugin, and would like to completely remove all data (leads, opt-in forms, email designs, etc. ), check this box. Allow Usage Tracking? Check this box to provide anonymous usage data to MailOptin to help them improve the plugin. MailOptin Affiliate Link: This only applies to MailOptin affiliate partners. The opt-in campaign settings are a little more important. Clear Cache: MailOptin caches your opt-in forms to improve performance. You’ll only need this button if recent updates to your forms are not displaying properly. Global Interaction Cookie: This is a nice feature that lets you hide your opt-in forms from visitors for a certain number of days, if the visitor has closed or dismissed one of your forms. That way you don’t keep bugging them if they’ve already told you they don’t want to subscribe right now. Global Success Cookie: The success cookie does the same thing as the interaction cookie, only it hides future opt-in forms from visitors who have already signed up for your list. If you only have one list, and all of your forms feed into that list, set this pretty high. 300+ days. 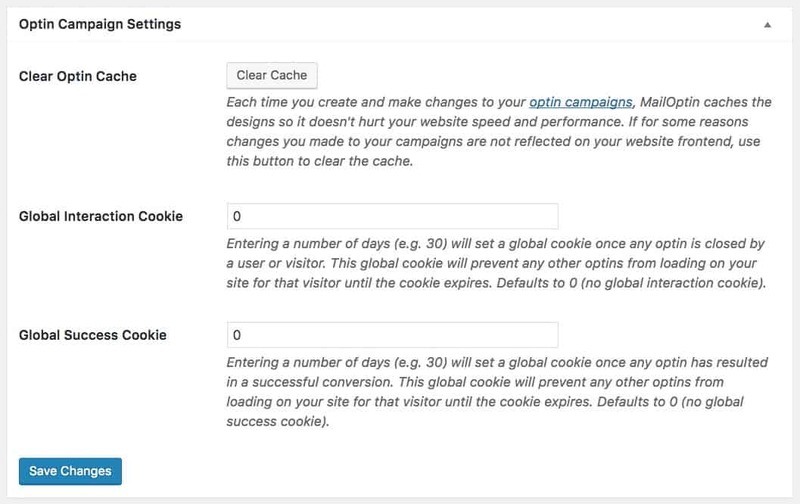 NOTE: You can also set cookie durations on each individual campaign, as you’ll see later in campaign setup. These settings are important if you plan to send emails out to your subscribers. Simply fill in the basic contact information for your organization, and it will be used in your email templates. This is required to comply with the CAN-SPAM Act regulations. 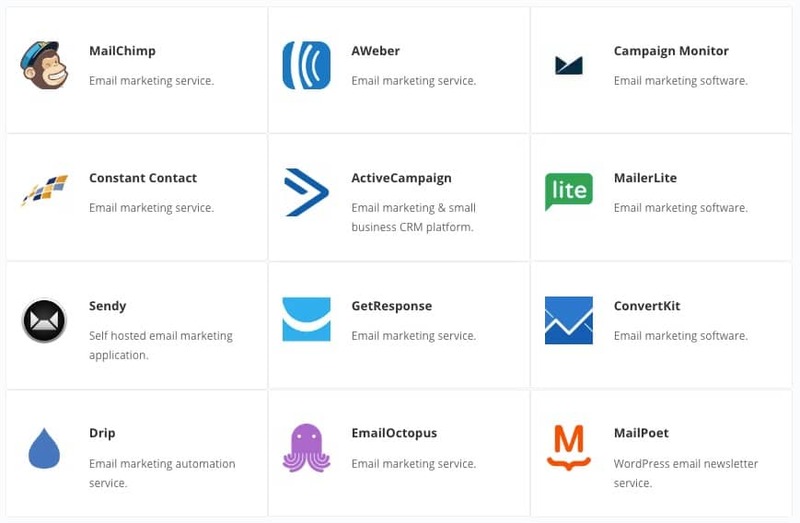 This covers most of the popular email service providers, and is an impressive list for a newer plugin just getting started. The setup for each of the 12 services is unique to that service. However, the interface is beautifully designed, making it very clear how to proceed with setting up a connection. For example, setting up MailChimp simply requires the input of an API key, which you can get from your MailChimp account. Constant Contact, on the other hand, requires you to click a button to authorize the MailOptin plugin to access your account. You’ll be taken a page on Constant Contact’s site, where you’ll need to login and follow the instructions. Now that you’ve connected MailOptin to your email service provider, it’s time to set up your first lead generation campaign. Once you select a theme, you’ll be taken to the form designer, which is powered by the WordPress Customizer. This is where you’ll set up your lead generation campaign. I love how the plugin uses native WordPress features, and doesn’t try to recreate the wheel. In the form designer, this is where you’ll set up the design, configuration & display rules for your opt-in form. 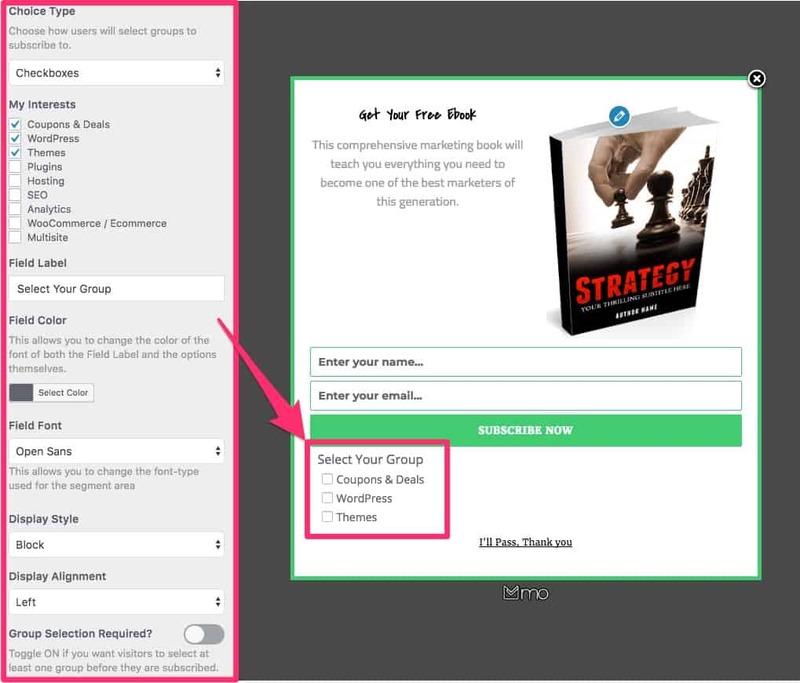 Your options will vary slightly, based on which opt-in form type you selected (lightbox, slide-in, widget, etc. ), as well as which theme you chose. Note: This shows up at the very bottom of the form. It can be plain text (like a disclaimer), or you can optionally have it close the form on click. Fields: Customize the name & email input fields, as well as the submit button. Show/Hide the name field. Update colors, fonts, placeholders & button text. Configuration: Here you can choose to hide the headline, description, note and close button, as well as set the cookie duration for this particular campaign (which will override your global settings). You also set up your success message, which displays after someone signs up for your list. Effects (premium): You can choose to enable one of about 30 different CSS animation effects to draw attention to your opt-in form. Integration: This is where you decide to add the person to an email service provider, choose the list, and select a group(s) in which to add them. More on this below. 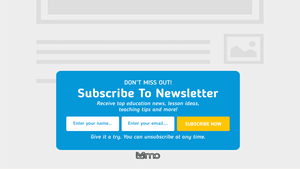 After Conversion: Choose what happens after the subscriber successfully signs up. Display a message, close the form, reload the page or redirect to a URL. More on this below. Display Rules: This is where you decide where, when & how to display your opt-in form. More on this below. This is one of the most important things to set up, and I love how MailOptin has designed it. 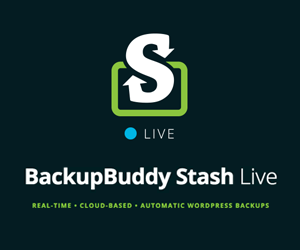 First, you choose whether to just store the subscriber locally, in your WordPress database (called “LeadBank”), or add them to a third-party email service provider. To add them to an email service provider, make sure you have set up a connection with that provider. Each provider might have slightly different options, but here is MailChimp as an example. Allow the subscriber to choose which groups to be placed on. Checkboxes or Radio Buttons: Checkboxes allow multiple selections. Radio buttons allow a single selection. Field Label, Color, Font, Display Style & Alignment: Customize the look and feel of the groups area on your form. Use the live preview on the right to see how things change. Close the form: Just close the form. This is not recommended, as it gives the user no feedback, and doesn’t suggest any next steps. Close the form + reload the page: This is also not recommended because it doesn’t give the user any feedback, and forces an unnecessary page reload. 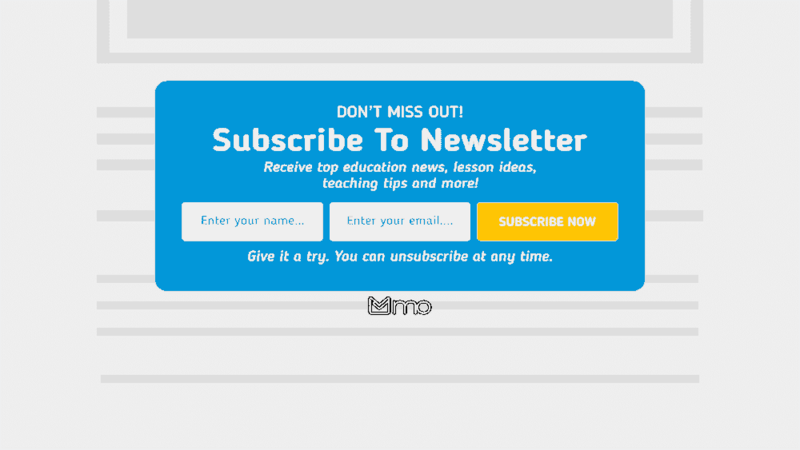 Redirect to a URL: Here you can send the subscriber to a thank you page, or any other page of your choosing. Optionally have the input fields passed via URL parameters. Display rules are what determines who sees your opt-in form, when they see it, etc. 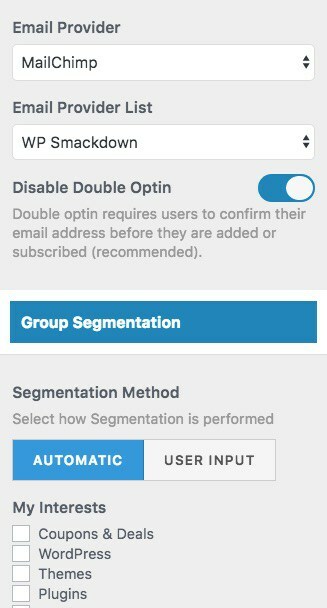 MailOptin gives you the option of a “Quick Setup,” which provides a few limited options. Or you can go through all the various rules and completely customize them to your liking. Let’s take a look at each of the display rules that are available. Quick Setup: Load the opt-in form on ALL pages of your site, or choose to show only to logged-in or logged-out users. These are the only options if you choose quick setup. Click Launch (premium): Activating this rule will give you a shortcode you can use that, when clicked, will open your opt-in form. You’ll also be given example HTML code you can use anywhere on your site (header, footer, sidebar, etc.). Enabling this rule overrides all other rules. 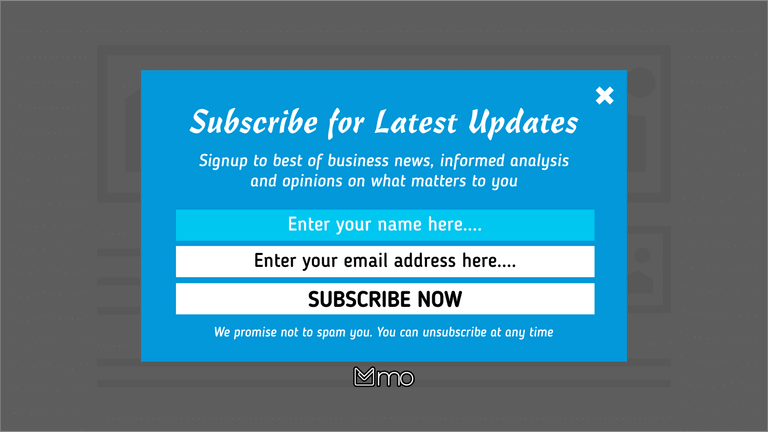 Exit Intent (premium): This will display your form when a user’s mouse gets close to the top of your browser window, which typically indicates the user is about to close the page. After X Seconds (premium): This rule displays your opt-in form a certain number of seconds after the page loads. 1-100 seconds. Scroll Percentage (premium): Displays your form after the user scrolls a certain percentage of the way down the page. 1-100%. Viewed X Pages (premium): Displays your form after the user has viewed a certain number of pages on your site. 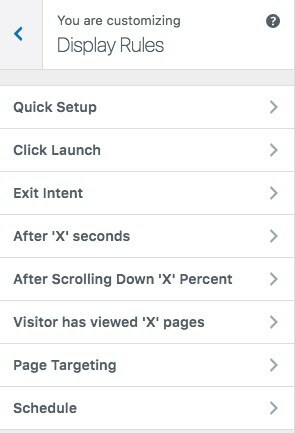 Page Targeting: This is a really powerful option. You can select specific pages, posts, post types & categories, and either include or exclude your opt-in form from them. Schedule (premium): Here you can create a start time and end time for your opt-in form to be displayed. This is great for time-sensitive promotions, holidays, etc. Once you’ve chosen your display rules and saved your changes, your opt-in form is ready to go. It will initially be deactivated, so you’ll have to toggle the switch to turn it on and start collecting email addresses. Your list of campaigns will appear here. Use the toggle to activate them. NOTE: Once again, I love how the plugin uses the native WordPress table functionality. Everything is displayed beautifully, and you can even use bulk actions to activate, deactivate, clear cookies & delete multiple campaigns. Really well done! Everything I’ve showed you so far was using the lightbox opt-in form type. That is just one example of 7 different types of lead generation forms you can create with MailOptin. Let’s take a look at each opt-in form type in more detail. Lightbox popups display over top of your content. They can be used to build your email list, make an announcement, display offers and share any form of targeted ad message. Notification bars attach themselves to the top and/or bottom of your visitor’s screen and ask them to subscribe or opt-in to your campaign. They can optionally “stick” to the screen as the user scrolls, and are fully responsive, making them a great choice for mobile devices. Slide-in forms are less intrusive but still attention grabbing. They slide into view from the corner of the screen, triggered by a user interaction (choose from multiple options). In addition to building your email list, you can use them to collect feedback or suggestions from your visitors. Add an email opt-in form to your sidebar, footer or any widget-ready area on your WordPress site. Capture the attention of your readers without interrupting their reading experience. Insert this opt-in form either at the very beginning of a post or page, or all the way at the end. Add an opt-in form anywhere on a page, post or in your theme’s template. MailOptin provides both shortcodes and template tags for all forms you create, giving you full freedom to insert them wherever you’d like. The latter option is a great way to confirm interest before collecting an email address, which typically leads to a more engaged subscriber. 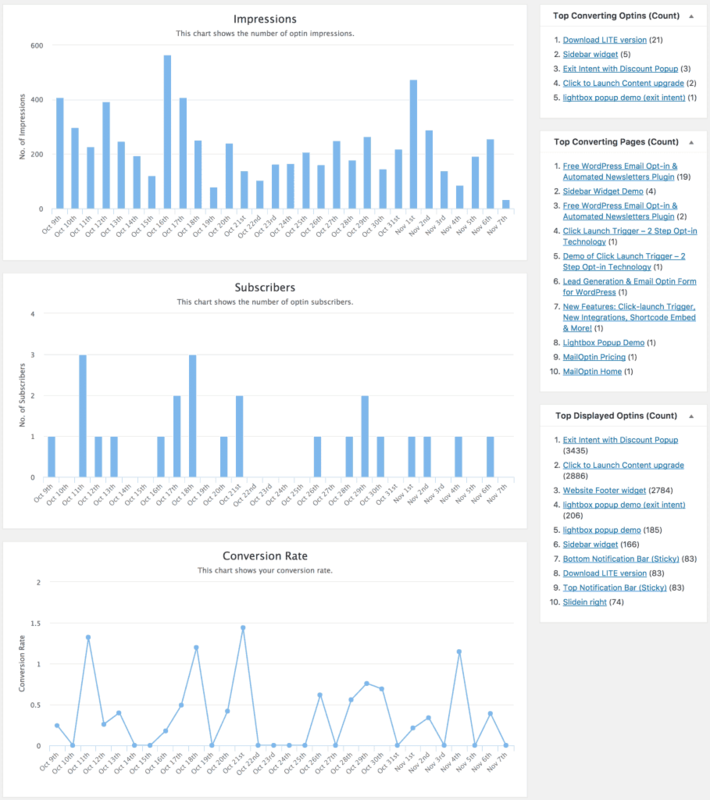 MailOptin doesn’t provide the most robust analytics I’ve ever seen, but it is certainly enough to test your campaigns, and figure out what’s working and what’s not. MailOptin’s email automation is probably one of the most impressive features of the plugin. The main usage right now is for sending out new post notifications whenever you publish a new post, but there are plans for even more types of emails in the future. They are currently working on adding an email digest, which you could send out once a week or month with a handful of posts you published within that timeframe. Post content length (can be truncated with an ellipsis). You can also include the entire post. 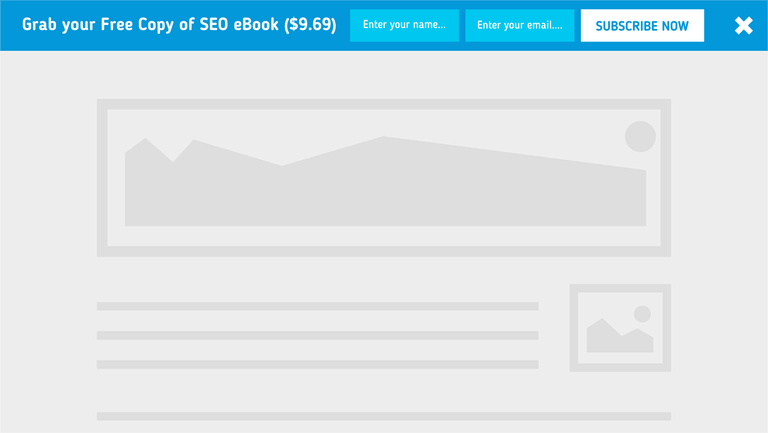 You can also send a test email with one click, allowing you to test the design before sending it to your subscribers. Here are a few more MailOptin features that we thought were worth mentioning. If you’re not ready to sign-up with an email service provider just yet, you can use LeadBank to store your leads, and upload them later to the ESP of your choosing. 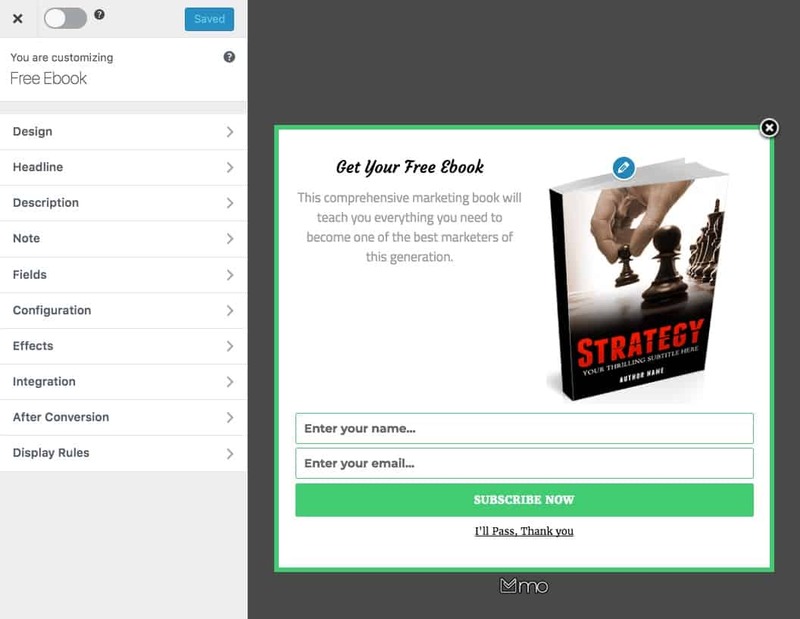 MailOptin integrates with the Elementor page builder (PRO version), allowing you to use the Elementor form element to generate leads and acquire new subscribers. This keeps track of all the email campaigns that get sent using MailOptin. You can view the subject line, campaign name, and the date & time the email was sent. MailOption offers 3 plans, each with different features. Standard: $69/yr for 1 site, or $99/yr for 3 sites. This option includes most of their premium features. Pro: $199/yr for unlimited sites. This option includes ALL premium features, including LeadBank, scheduling, advanced analytics, WooCommerce & EDD integrations and more. IMPORTANT: If your subscription expires and you do not renew, you will be downgraded to the Lite version, which means you could lose some features that you were using. The free version of MailOptin provides enough functionality to get started. I recommended you start here, collect some emails, and test it out. 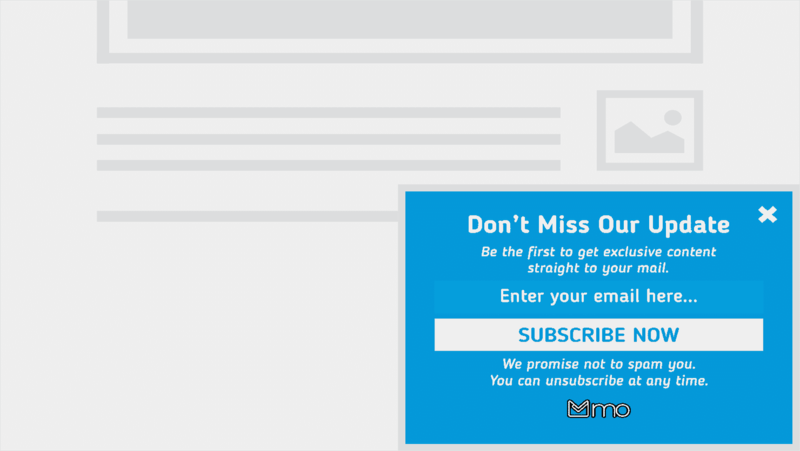 Once you’re ready to start sending regular emails to your subscribers, you’ll probably want to pay for one of the premium versions. I’m a tough grader; 5-star ratings are rare. If I gave half-star ratings, MailOptin would probably get a 4.5. While this plugin does an excellent job using the WordPress Customizer, and provides a lot of options without being overwhelming, the template designs & reporting could be improved. For only being launched 6 months ago (July 2017), MailOptin is still quite impressive. I will be keeping my eye on it as it continues to grow and add new features.